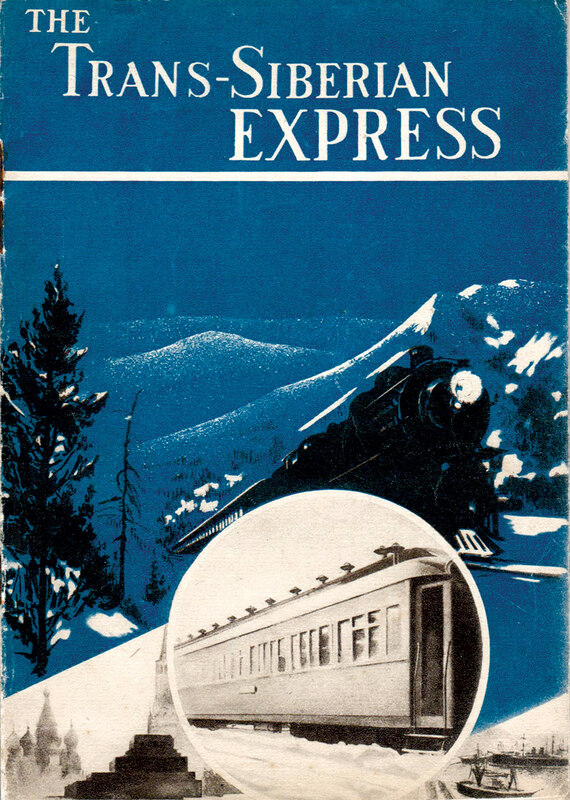 At the dawn of the 20th century, ‘the whistle of the steam engine dispersed the gloomy legend of the snow-covered Siberian wastes where only the howling of wolves and the clanking of convicts’ chains disturbed the silence’. This contemporary news report on the opening of the Trans-Siberian Railway conjures a popular image of Siberia as a harsh, vast expanse. Contained by the Ural Mountains in the west, national borders in the south and the Arctic and Pacific oceans to the north and east, Siberia would be the world’s largest nation, were it one. The Russian historian Afanasy Shchapov (1831-76) argued that, historically, it should be seen as such, given its ethnic and geographical differences from Russia. This truth is creatively embraced by the artist Damir Muratov, whose work references the region’s indigenous peoples and mythologies with the creation of Siberian characters named after its towns. The excavation of Siberia began in earnest at the behest of Peter the Great, who, towards the end of his life in the 1720s, launched mapping and scientific expeditions east of the Urals. It was a mammoth task, as scientists, geographers and naturalists, including the German Daniel Gottlieb Messerschmidt (1685-1735), travelled into Siberia commencing studies that would yield Scythian treasure, precious metals and – first discovered by Messerschmidt – fossilised mammoths. 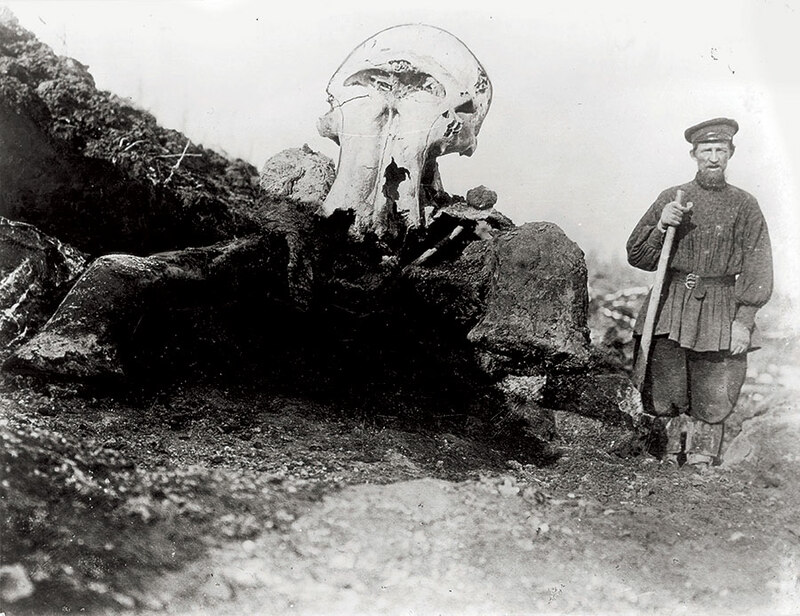 The export of Siberian mammoth tusks remains a lucrative industry. Siberia has an ancient association with strange and mythical peoples. It was mooted as a home for a race of northern giants, the Hyperboreans. Later, Marco Polo described an ‘obscure land’ with inhabitants who ‘live like beasts’. 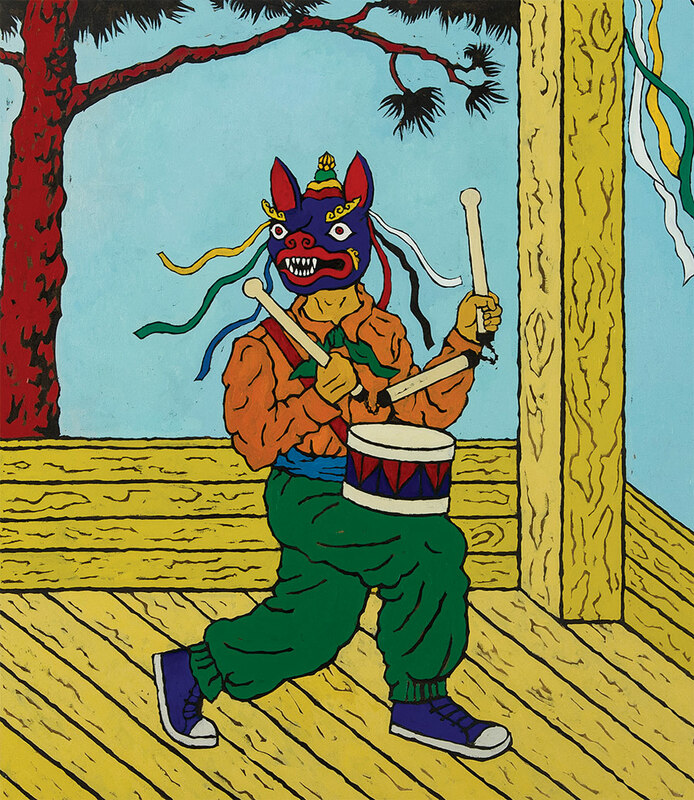 In the modern era, the region became (and remains) known for the widespread practice of shamanism. Arguably Siberia’s most famous son was shrouded in rumours of black magic: Grigori Rasputin. 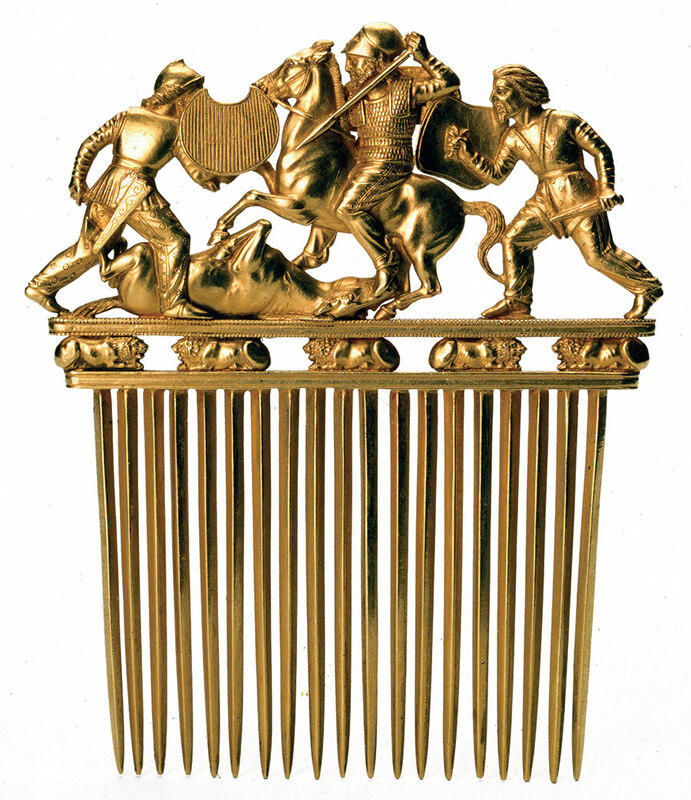 Marketed as ‘warriors of ancient Siberia’ by the British Museum in its 2017 exhibition, the Scythians were a nomadic people who, between roughly 900 and 100 BC, lived across southern Siberia and the steppe as far west as Ukraine (where this ornamented comb was found). A memorable episode from Herodotus’ The Histories sees the Persian king Darius attempt to conquer the Scythians, only to be foiled by his quarry’s nomadic existence. Frozen Scythian burial mounds yielded gold, clothes and even food when they were discovered in the 1700s. 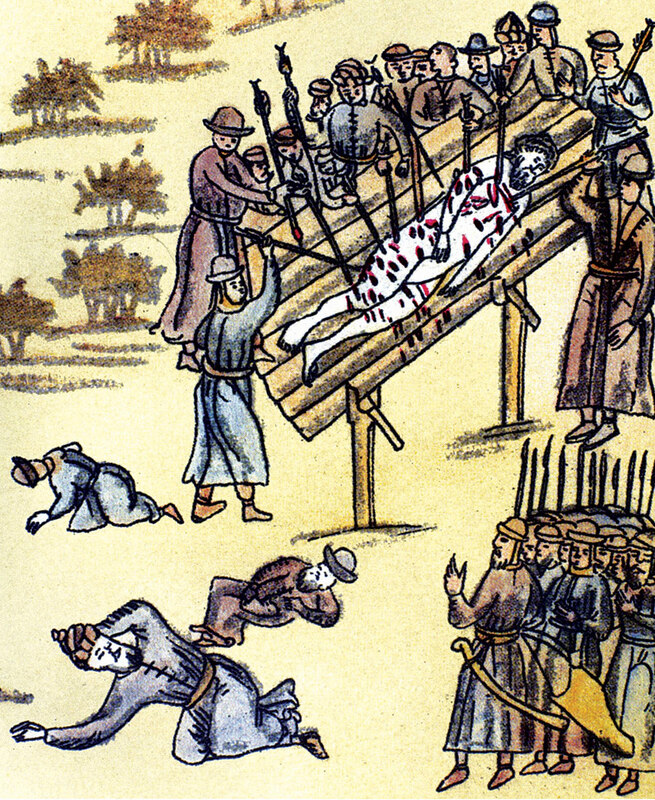 The corpse of the Cossack leader Yermak Timofeyevich is stabbed by Siberian Tatars in 1585. Yermak had led the Russian conquest of Siberia since 1581; his demise did not prevent it. During the reign of Ivan IV (‘the Terrible’) and funded by the Stroganov family, Yermak and his Cossack forces captured Qashliq, the Tatar khanate’s capital. He defeated Khuchum Khan at the Battle of Chuvash Cape on 4 November 1582. The conquest is recorded in the Siberian Chronicles, produced between the 16th and 18th centuries. Southern Siberia was among the first conquests made by Chinggis Khan’s inchoate Mongol Empire in the 13th century, when the name Siberia – possibly from the Tatar word for ‘sleeping land’ – may have been first used. In 1207, Chinggis’ eldest son Jochi was sent to subjugate the ‘forest peoples’ of the north, also named as the ‘Buriyad’ in the dynasty-approved Secret History of the Mongols (c.1240). Pictured here is a family of Buryats, Siberia’s largest indigenous group. The Mongols’ Siberian legacy included the Islamic Khanate of Sibir, which ruled from 1490. 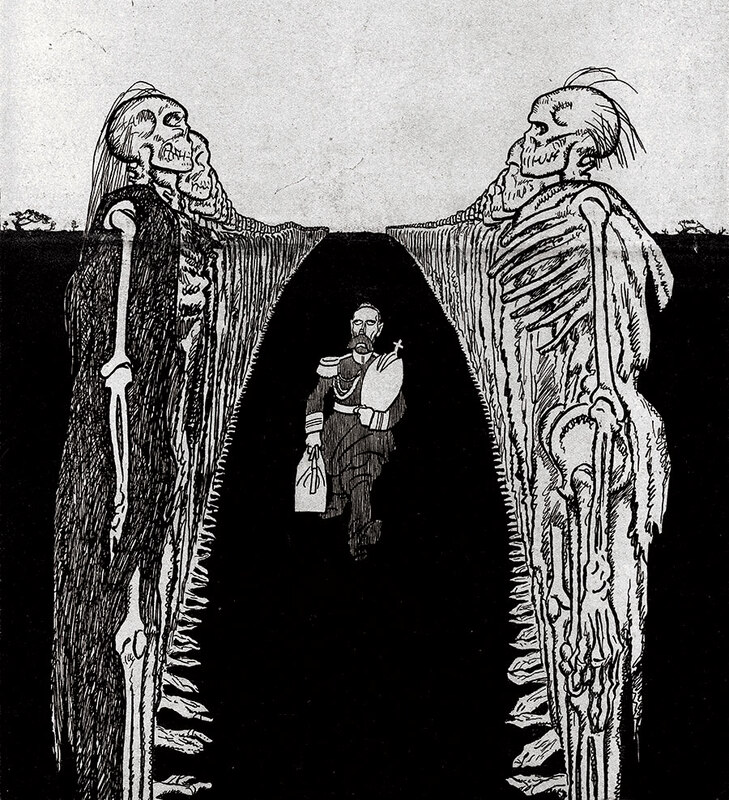 Deposed in the 1917 Revolution, the last tsar walks to exile in Siberia along a road lined with the skeletons of those who have preceded him. The image might suggest the infamous ‘Road of Bones’ (also known as the R504 Kolyma Highway), built with Gulag labour under Joseph Stalin and so named for the policy of incorporating dead workers into its fabric. 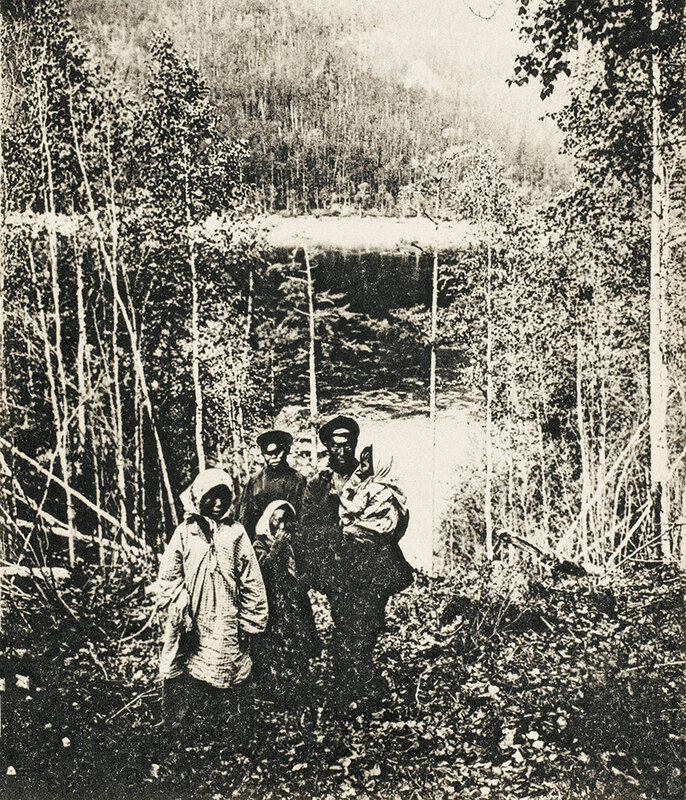 From the 17th century, Siberia became a place of penal exile, as the tsarist government populated it with dissidents and criminals, whether political, petty or serious. 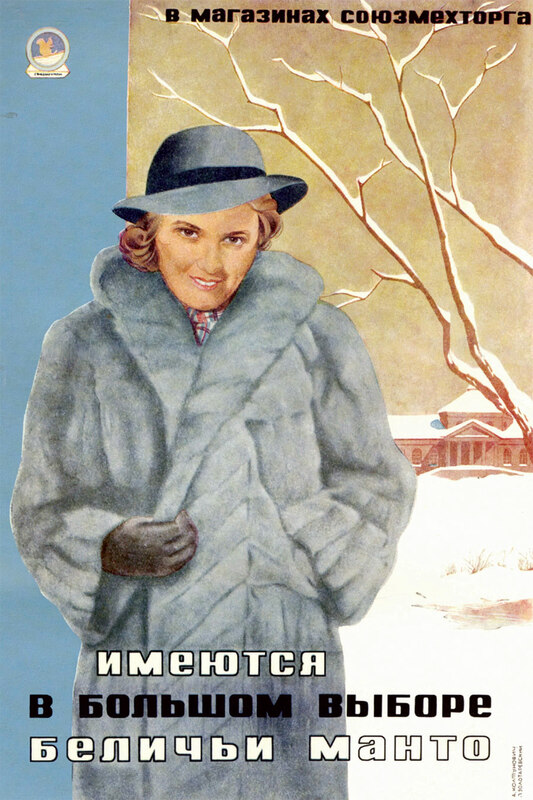 This Soviet-era poster hints at what attracted Russians east since at least the 10th century: fur. International awareness of the quality and quantity of Siberian sable furs may have originally spread with the Mongol Empire. Ivan the Terrible reportedly demanded a tribute of 30,000 pelts annually from conquered Siberian Tatars. Mass exploitation led to depletion – tellingly, the coat in this advert is not sable, but less desirable squirrel fur. In the 1830s and 40s, there was a Siberian gold rush. Russia produced one per cent of the world’s gold in 1801; by 1850 it produced 40 per cent. The vast majority came from Siberia. 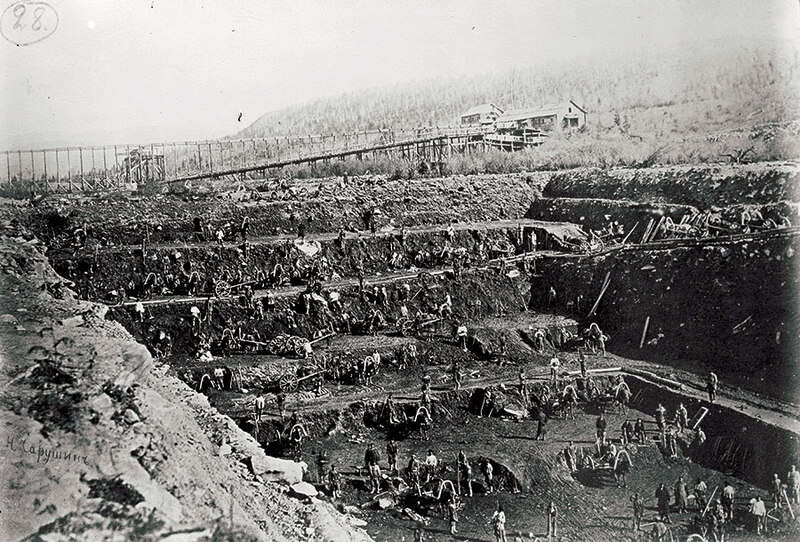 Surprisingly, Siberia’s goldmines would soon be undermined by an unlikely competitor, as the Russian prime minister Pyotr Stolypin (1906-11) affirmed: ‘Siberian butter-making brings us more than twice as much gold as the whole Siberian gold industry.’ That Siberia continues to provide most of Russia’s oil, gas and mineral resources and yet lags behind the rest of the country in terms of living standards is a source of contention. A website called ‘Enough of Feeding Moscow!’ and a proposed independence march in Novosibirsk were both banned in 2014. In the 1630s, it took the new military governor of Yakutsk three years to reach his post from Moscow; by the 1850s, it was clear that keeping Siberia as part of the tsar’s empire required an effective transport route. A project to connect Moscow and Vladivostok was announced by Tsar Alexander III in 1891 and completed as the world’s longest railway, the Trans-Siberian, on 21 July 1904. Known as the ‘Siberian Athens’, Tomsk is among Siberia’s oldest towns, founded as a fort in 1604. Absorbing Siberia into the Russian empire required settlement building. 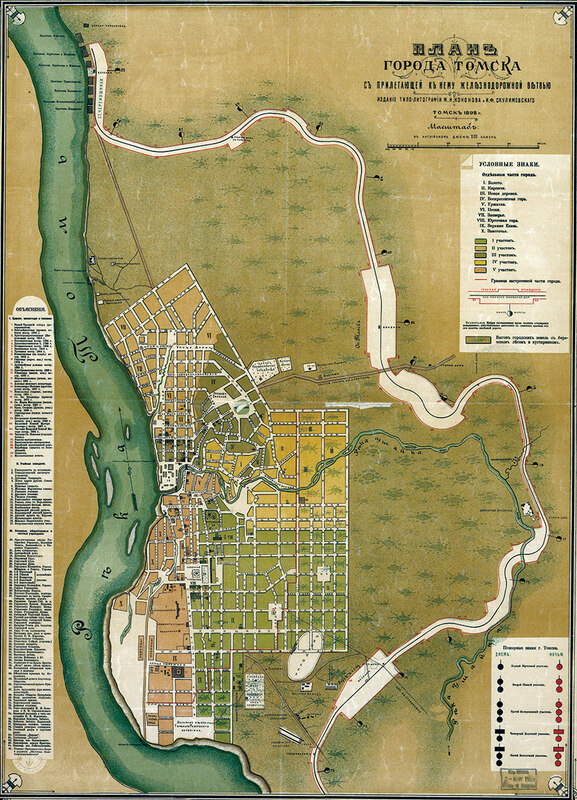 Rivers provided the best route into its interior; Tomsk is built on the Tom, a tributary of the Ob. 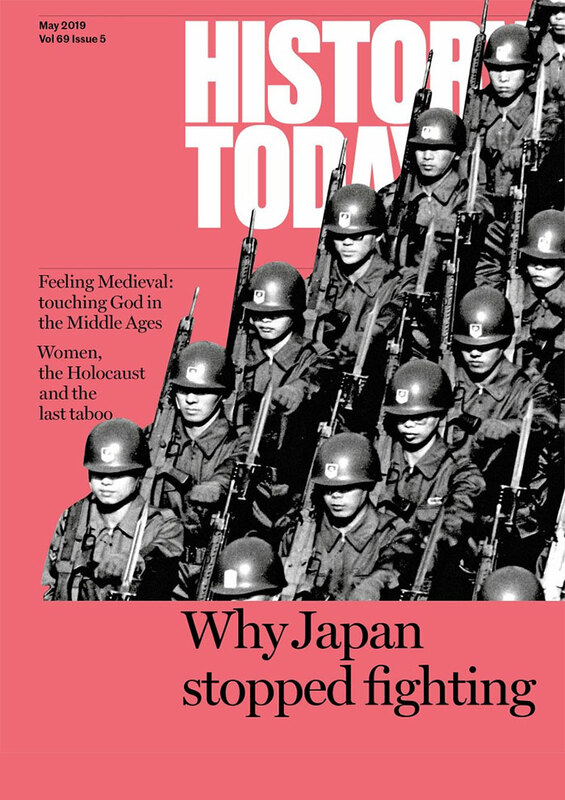 In the 18th and early 19th centuries the majority of settlers were voluntary, lured by government incentives. Siberia’s first university opened in Tomsk in 1888. Bypassed by the Trans-Siberian Railway, the town was soon surpassed in size and stature by Novosibirsk, Siberia’s biggest city. 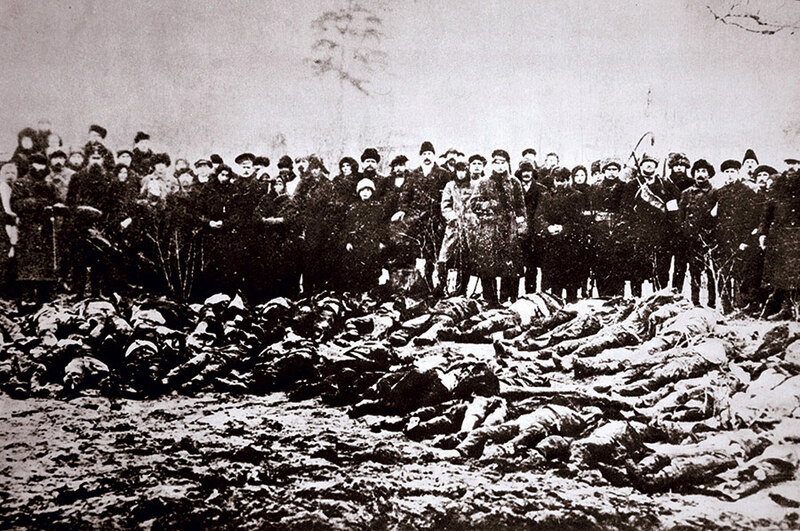 The Russian Civil War which followed the revolution of 1917 was fought brutally in Siberia. 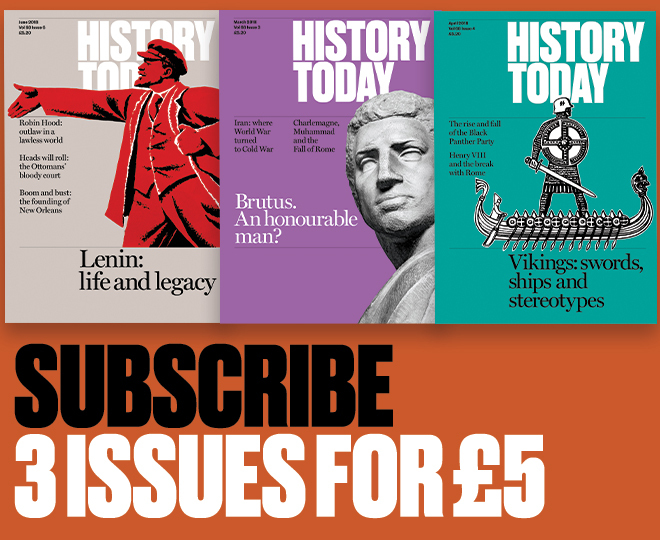 Following the Revolution, the Bolsheviks established a ‘façade’ of Soviet control in Siberia, to which the Siberian peasants were largely indifferent. The Bolshevik leader Vladimir Lenin is quoted as admitting: ‘We could not give the peasants in Siberia what the revolution gave peasants in Russia.’ The anti-Bolshevik White movement had a government in Omsk under Admiral Alexander Kolchak, before his capture and execution in 1920. The spread of the war in Siberia was facilitated by the movement of troops along the Trans-Siberian Railway. The notion of an independent Siberian republic was proposed in the 1850s. 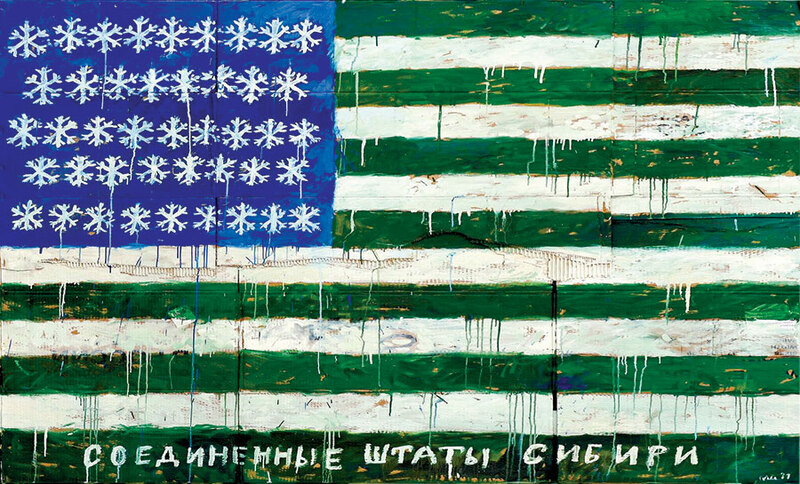 In August 1917 a conference in Tomsk agreed upon a design for a two-tone Siberian flag of white (signifying snow) and green (the forest). Here, Damir Muratov offers a provocative take on the proposed design.